Hausu was director Obayashi Nobuhiko’s first feature film. His route to his debut charts the post-war fluctuations in Japan’s cinema. Obayashi began his career as an experimental filmmaker working with super 8 film, alongside many of the most famous names of the Japanese avant garde. After a showcase of this movement’s films, a producer of television commercials approached many film makers, offering them the opportunity to direct commercials at Toho Studios. Obayashi was the only figure who accepted the offer, keen to capitalise on the higher budgets, better facilities and opportunities to broaden his craft. Obayashi worked with many, many celebrities, among them Ringo Starr, Sophia Loren and an infamous commercial for Mandom cologne with Charles Bronson (see above). While today advertising is seen as a fine apprenticeship for filmmakers keen to hone their craft and make a living (figures as diverse as Roy Anderson, Ridley Scott and Tarsem Singh all spent time producing commercials before graduating to features) this was not an option open to Japanese directors at the time. The studio system – like most crafts in Japan – was highly hierarchical, with a seemingly endless and arbitrary apprenticeship an absolute prerequisite. Watching the film, one is in full contact with Matsuoka’s consternation. Indeed, the film debuted as a supporting feature, but enthusiasm among its intended audience – teenagers – was strong enough make it the main attraction. Reportedly, Obayashi spent equal time crafting the film’s marketing campaign as he individual scenes. 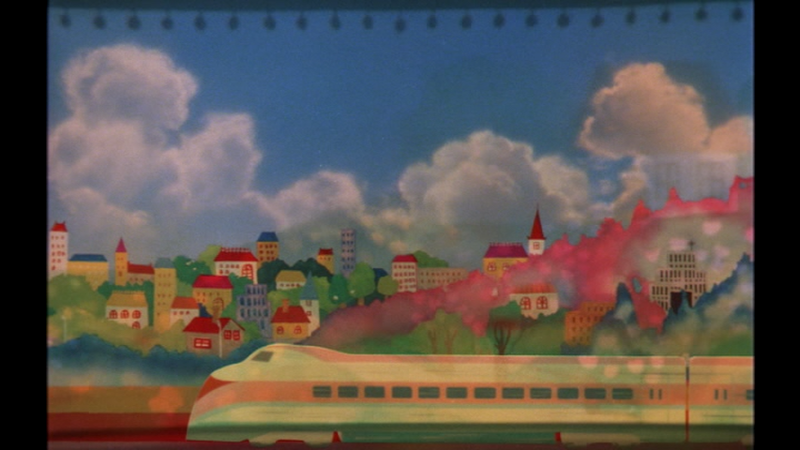 The freneticism of Obayashi’s advertising work is apparent: every frame offers the maximum possible expression of his vision and makes no distinction between the natural and the blatantly artificial. Given that the style most associated with Japanese horror in the West at this time were folkloric ghost story adaptations, the shock must have been palpable. Films like Onibaba, Kuroneko and Kwaidan all have a brooding, intense, even monotonous feel (and are shot in black and white), committed to building tone through suggestion and careful composition. 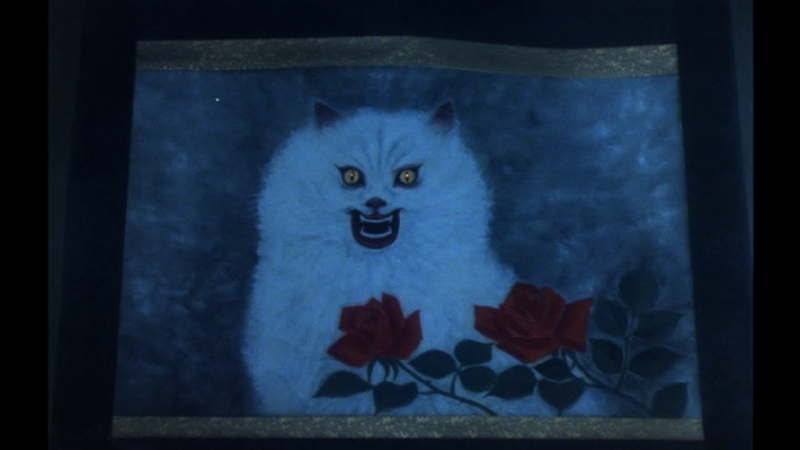 Hausu is an electric, bubblegum treat with as much dedication to scaring as Scooby Doo. Repeated viewing does little to cut down its relentless desire to surprise, and that is why Hausu has become a worldwide midnight movie favourite 35 years after its debut. 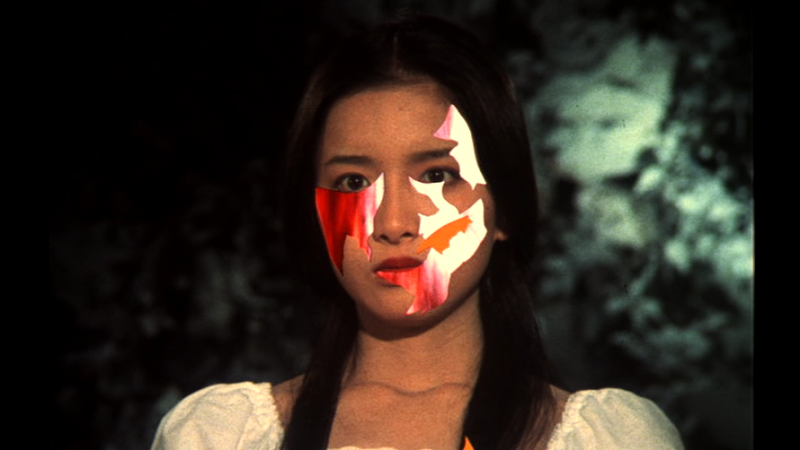 This article is heavily indebted to both Paul Roquet’s brilliant Midnight Eye overview of Obayashi’s work and Chuck Steven’s article on the Criterion Collection site.